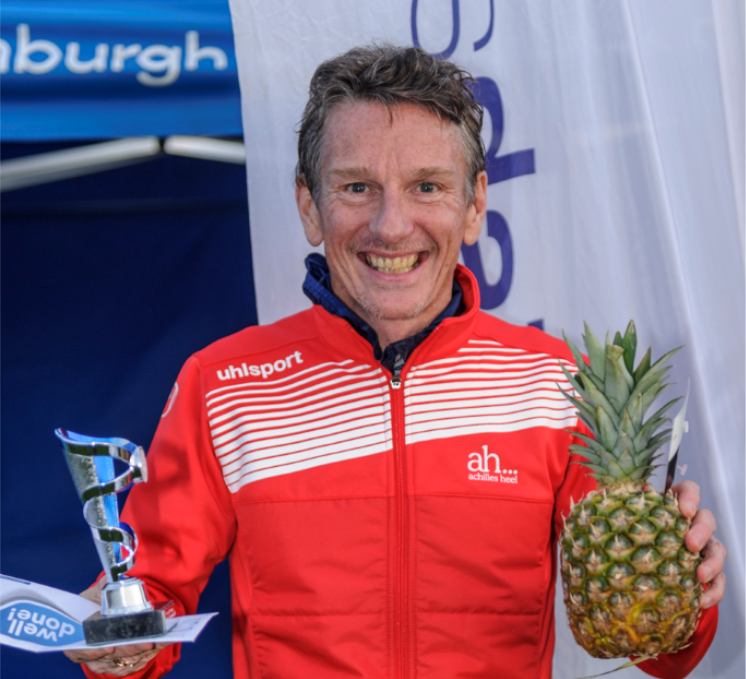 Former Glasgow marathon winner Peter Fleming rolled back the years at the Scottish 5K Champs on a trip home from Colorado Springs – then insisted he was thrilled with the vibrant road running scene in Scotland. 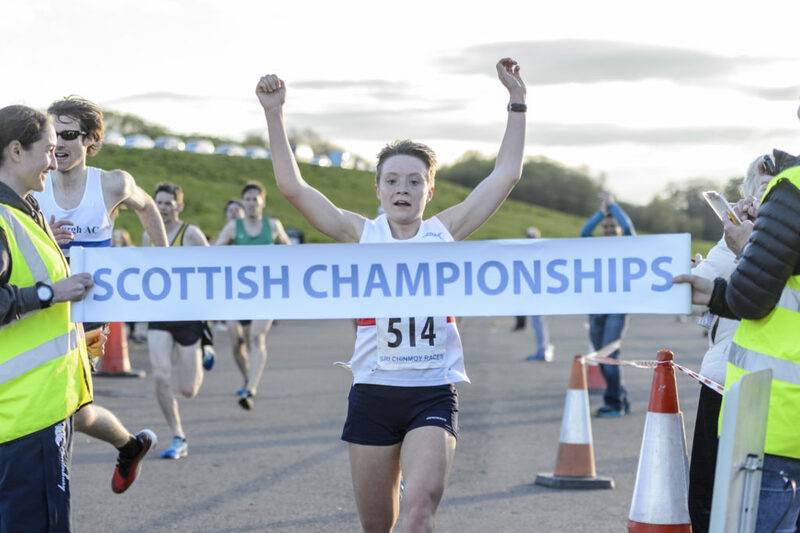 Lachlan Oates and Annabel Simpson took the gold medals at Silverknowes with both athletes celebrating doubles of sorts; with Shettleston’s Lachlan following up his 10,000m track win from a fortnight earlier and Fife AC’s Annabel successfully defending the title she had won in 2017. But it was the overall depth of the race which once again commanded attention and delighted Cambuslang V55 athlete Fleming, who remains high in the Scottish marathon and half marathon rankings 35 years on from his pomp, winning the 1983 Glasgow Marathon in 2.17.46. And Peter’s effusive praise was backed up by statistics with Friday’s race over-hauling the numbers from the English 5K Champs in Cheshire a week earlier in terms of those running under 20 minutes for the distance. ‘I can’t believe the depth in the race and how many people are running quick times,’ said Peter, who himself clocked 16.32 on the night to take a Run and Become V50 prize. ‘It was amazing at the start to be surrounded by hundreds of folk and it didn’t let up much at all. I don’t remember anything like that at all back in the day – not with that kind of depth. 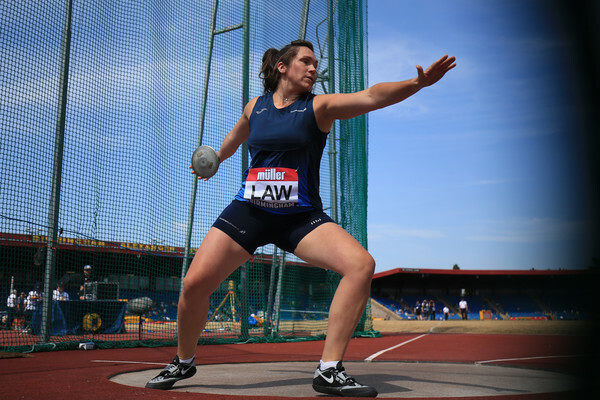 ‘I’m only on a short holiday back home but it has been great to see and feel the upsurge in athletics in Scotland. 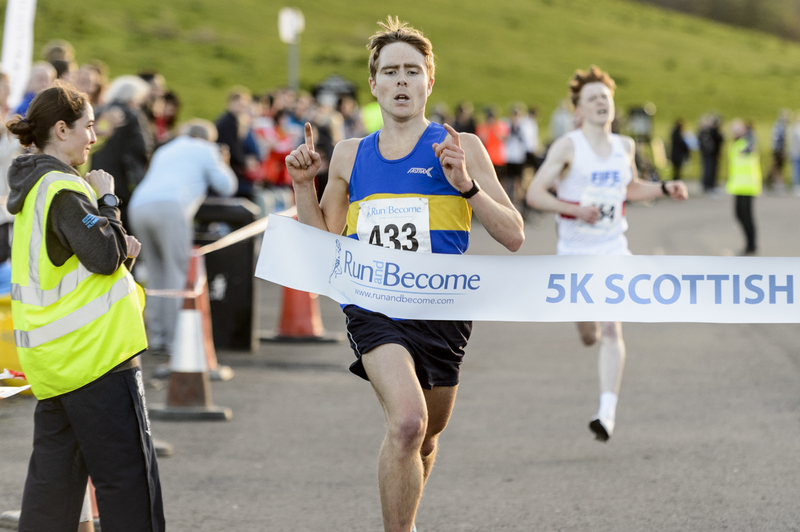 I was at the 3K On the Green in Glasgow and now this Scottish 5K Champs and the big thing for me on Friday night was that the race was crammed full of club vests. It’s exciting times. 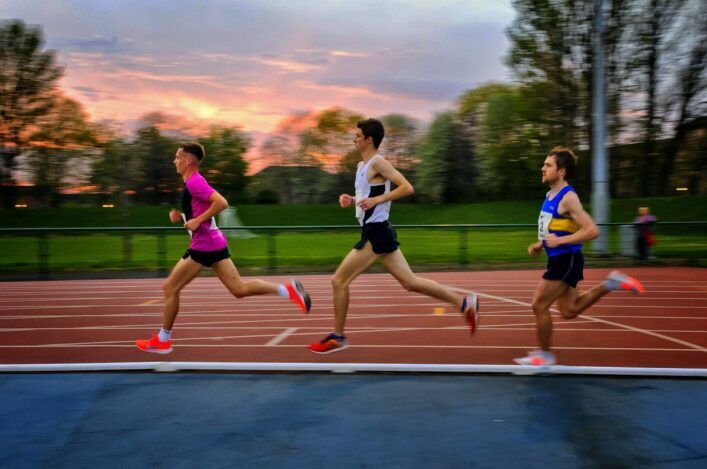 Fleming didn’t know those numbers when speaking to scottishathletics but there was no denying the strong club atmosphere on Friday evening and the race for PBs. Simpson led the way with her 16.26 run her best on road of track with Jenny Bannerman of Inverness taking the silver in 16.49 and Jo Williams of Lothian the bronze (16.57). ‘I’ve exams at the moment at University in Glasgow so I am really pleased with the way this went for me,’ said Annabel. ‘I had to drop out in the 10,000m champs a couple of weeks ago because, at that point, I just had no energy with all the adrenaline and stress of studying and sitting exams. 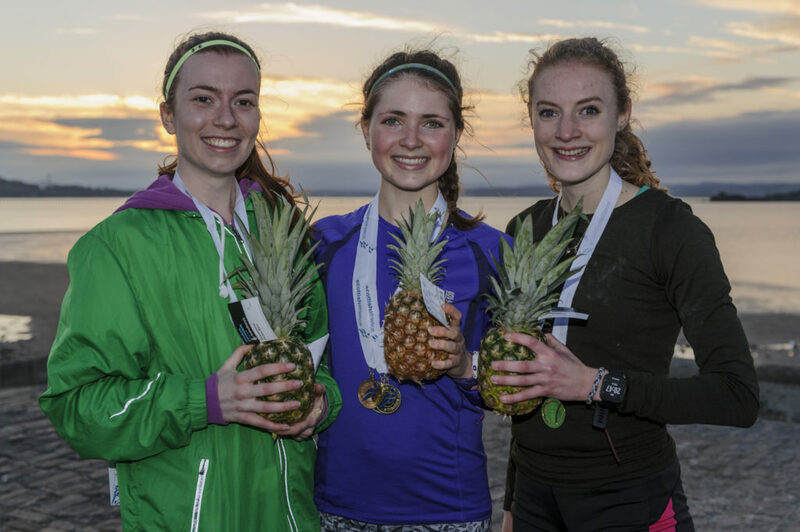 There was an U20 gold for Anna MacFadyen (17.04), who led Edinburgh Uni Hare and Hounds to the team win ahead of Fife AC and Edinburgh AC. Megan Wright of HBT took the Masters gold. Edinburgh Uni also took the women’s U20 team golds. Oates had actually had to undergo a race-day fitness test before racing. As it transpired, it came down to another battle with Logan Rees – these two seem to have been head-to-head for months – with EAC’s Michael Christoforou taking the bronze (14.40). 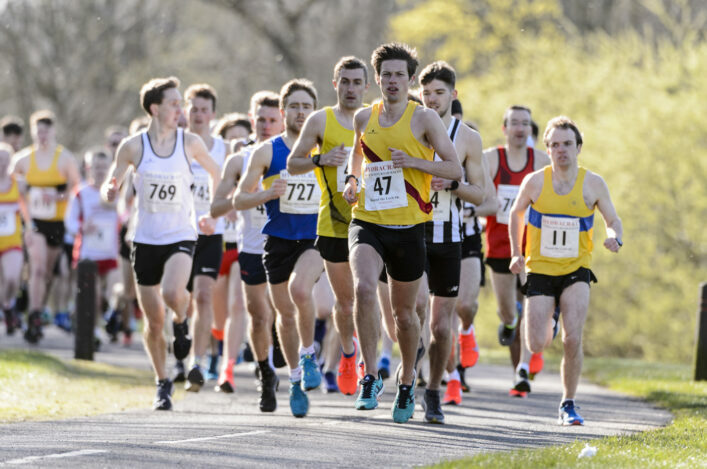 With Tom Martyn fifth and Murray Strain in tenth, a 13th place for Jonathan Crickmore helped HBT wrap up the team win from Corstorphine and Fife AC. Jack Leitch of Edinburgh Uni Hare and Hounds won the U20 title in 15.09 and Michael Carroll of Perth Road Runners the Masters gold. Cambuslang won the U20 men’s team golds. 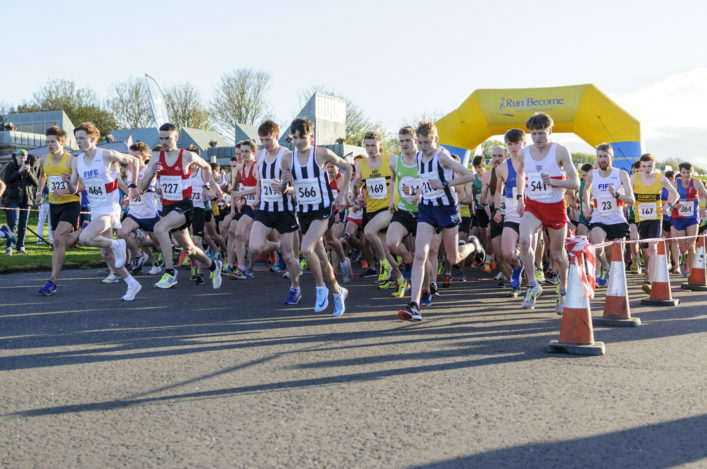 Many thanks to race organisers Run and Become, stuweb for chip timing, the Road Running and Cross Country Commission and all the volunteers who helped out on Friday evening – your support is vital and appreciated.